Asian Games 2018 gold medalist Triple jumper Arpinder Singh created history by became the first Indian to win a medal at the IAAF Continental Cup, by winning bronze medal, at Ostrava, Czech Republic. 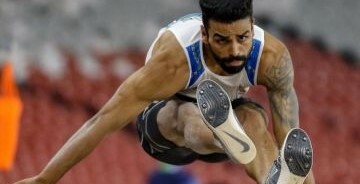 Arpinder Singh, who is a 25-year-old triple jumper, represented the Asia-Pacific team in the IAAF Continental Cup 2018. Arpinder Singh won bronze medal in the men’s triple jump event with a jump of 16.59m. World champion Christian Taylor of the United States won gold medal with a jump of 17.59m.